The Rotary Club of Charlevoix has so far awarded over $36,000 in 2015-16 to community projects and beyond, including a variety of efforts to assist youth, build communities, and aid global efforts to provide clean water and eradicate polio. 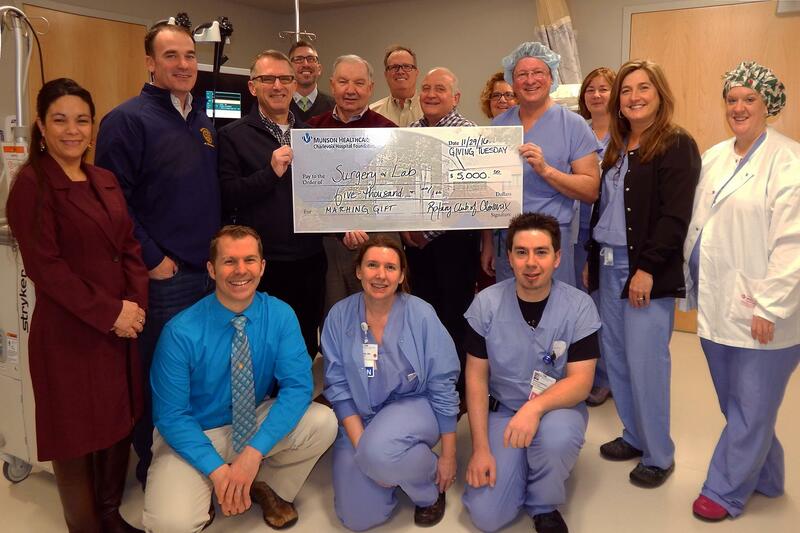 Members of the Charlevoix Rotary Club gathered at Munson Healthcare Charlevoix Hospital on Thursday morning to present a check for $5,000 to the hospital’s Foundation. The generous check represented their ongoing support of the hospital’s recent capital campaign which included a complete redesign of the hospital’s surgery and laboratory services departments, and the creation of a third, larger operating room. The Rotary’s check served to double the impact of community and employee gifts on Giving Tuesday (November 29), for a grand total of $10,225 raised – one spectacular day of giving! Thanks to the generosity of the local Rotarians, the community and employees of the hospital were challenged to raise a minimum of $5,000 in order to capture the complete matching gift of the Rotary Club. Thank you very much to all the Rotarians and community members who came out on Saturday Dec. 17th to help us to raise over 2000 food items and $3079 for the Charlevoix Community Food Pantry. We had a very successful event. Thanks to the generosity of the Lake Charlevoix Brewery, attendees, and our club match we successfully raised $2550. Each pint of beer sold resulted in $6 to EndPolioNow ($1 donated from LCBC, $1 match from the club, $4 from Gates foundation). Grand total raised from this event (including Gates foundation match) $12,750 resulting in the equivalent of one pint of beer immunizing 10 children!! 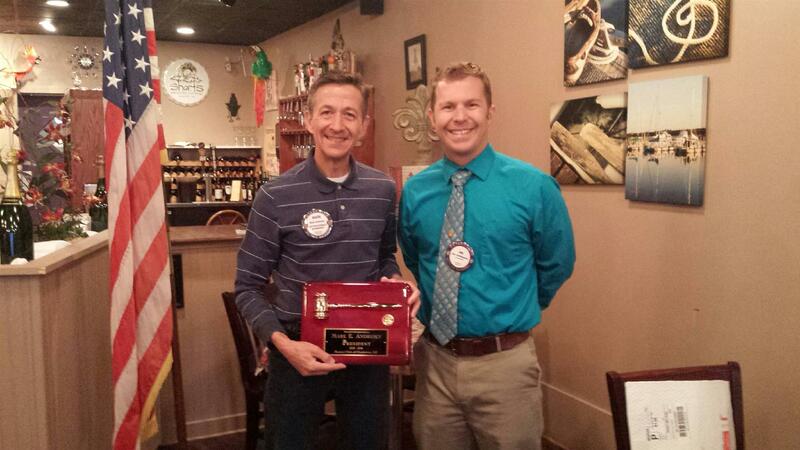 After another banner year for the Rotary Club of Charlevoix, President Jon VanWagnen presented Past President Mark Andresky with a plaque and gavel to show the clubs appreciation for all of his hard work. Thank you to all the Rotarians that volunteered their time and everyone that donated (cash or nonperishable items) to our canned food drive. Thanks to the generosity of our community we were able to donate over 1200 items and $3006 to the Charlevoix Community Food Pantry!! 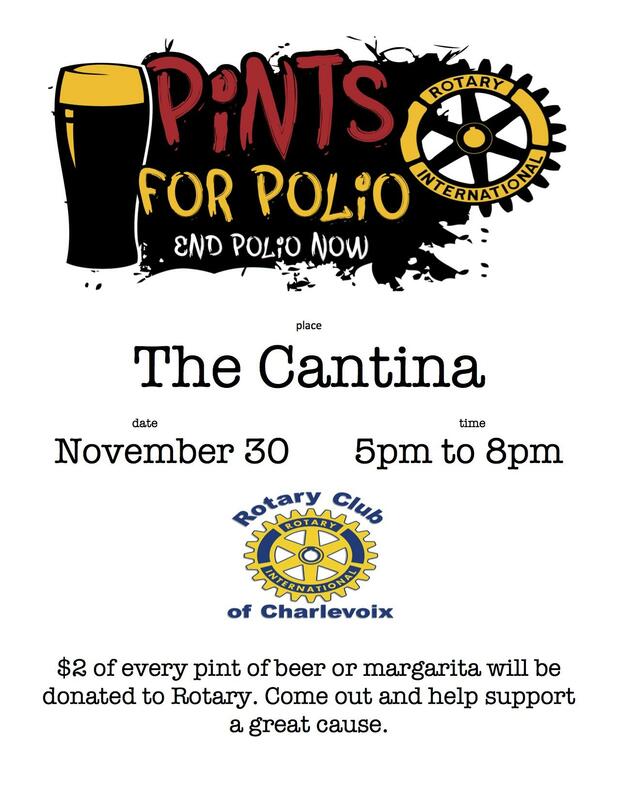 Please join the Charlevoix Rotary Club on December 3rd and help us raise money to stop Polio Worldwide! Internationally, Rotary has helped immunize more than 2 billion children against polio in more than 122 countries, which has resulted in reducing the polio cases by 99 percent worldwide. 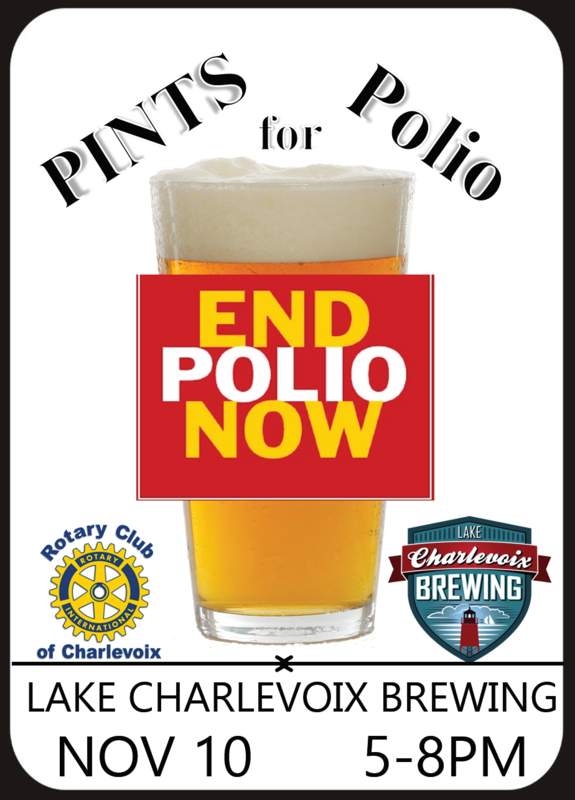 For every pint of beer sold, LCBC will donated a dollar, and for every dollar raise (up to $1000) Charlevoix Rotary Club will match the donation to Polio Plus. This event is open to the public, so mark your calendars and tell all your friends. We had a very successful event. Thanks to the generosity of the Lake Charlevoix Brewery, attendees, and our club match we successfully raised $2408. Each pint of beer sold resulted in $6 to EndPolioNow ($1 donated from LCBC, $1 match from the club, $4 from Gates foundation). Grand total raised from this event (including Gates foundation match) $9,632, resulting in the equivalent of one pint of beer immunizing 10 children!! Charlevoix Rotary awarded several members Paul Harris fellows today. The club continues to maintain its 100% Paul Harris Fellow status as a club. Rotary District 6290 District Governor Tom Schmidt was in attendance to help pass out the awards. The Rotary Club of Charlevoix just finished upgrading the flooring to the cabin we maintain at Camp Daggett. The project was done in conjunction with a grant from Rotary District 6290. The flooring was done with a epoxy resin material that should last for many years!! Thanks to Summit Painting, Letters Online, Charlie Wittehoff & the Camp Daggett Staff, as well as our Rotarian Manual labors for the installation of the floor. On December 20th 2014, The Rotary Club of Charlevoix collected $1260 and a 8 foot trailer full of canned foods for the Charlevoix Community Pantry today. A huge thank you to everyone who volunteered and donated. This week the Charlevoix Chamber of Commerce awarded The Rotary Club of Charlevoix as the November Business of the Month! We will also be accepting empty returnables (cans and bottles) as donations. 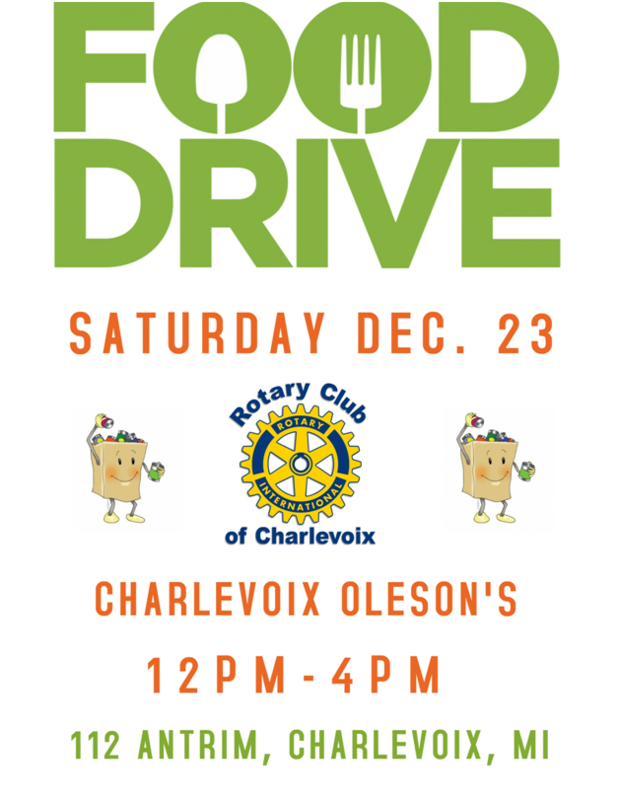 All food and money collected will benefit the Charlevoix Community Food Pantry. 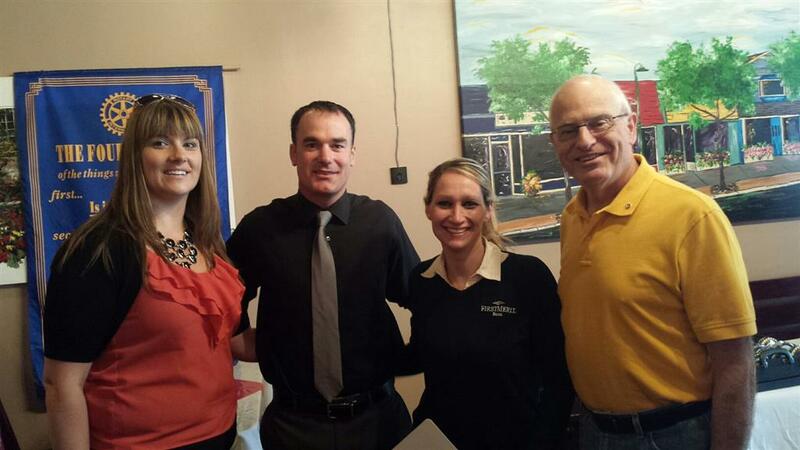 The Rotary Club of Charlevoix would like to welcome three new members to our club. A big welcome to our Club and to Rotary International go to: Mike Argetsinger (pictured in the first photo with Rotarian Bill Sick), Olivia Adams (lower photo - middle left next Aaron Wilkin), and Lyn Jenks (lower photo - middle right next to Mike Hinkle). 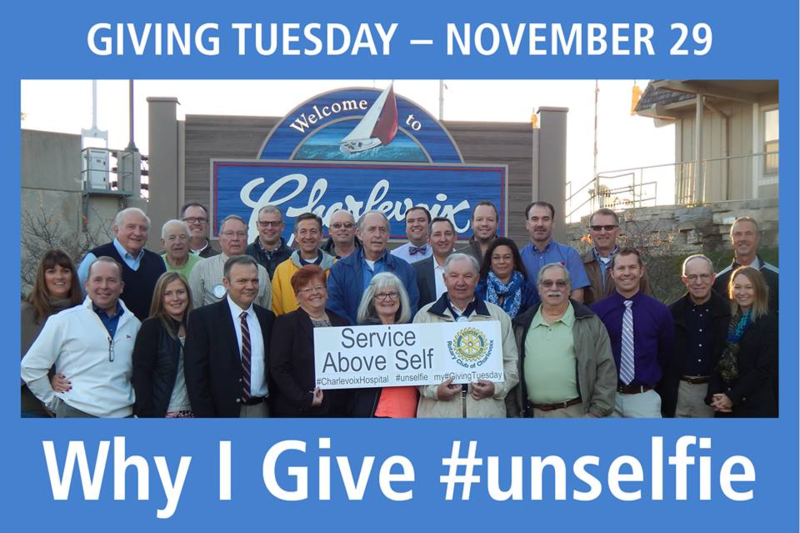 Click on the link below to see the Rotary Club of Charlevoix's very own commercial. 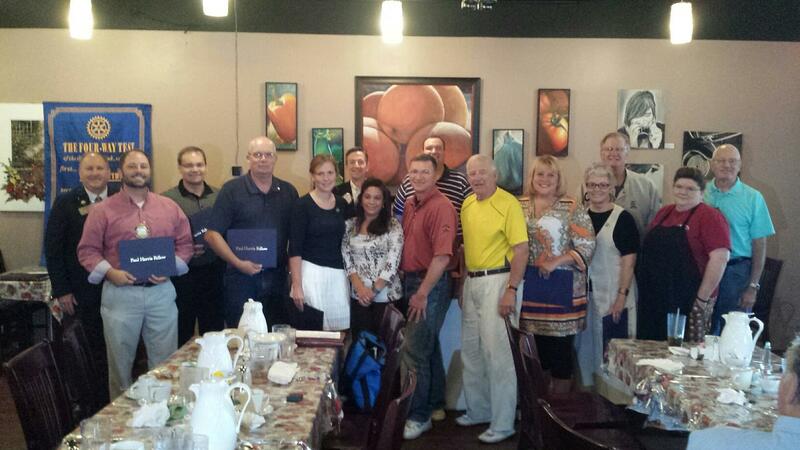 The Rotary Club of Charlevoix would like to welcome our newest member Cynthia Lamberson. 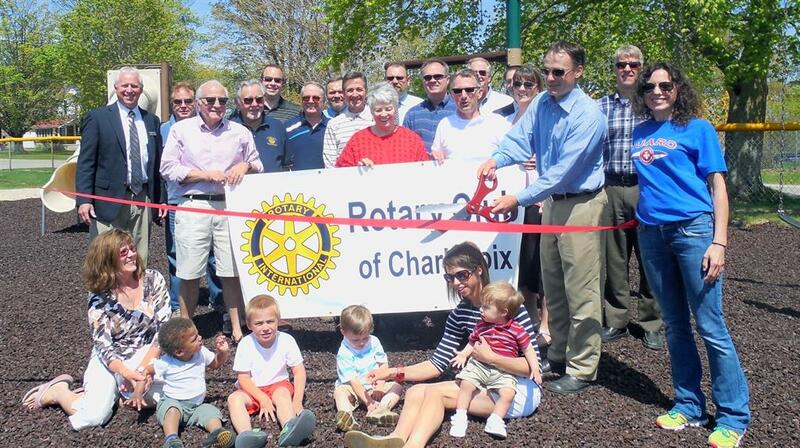 The ribbon cutting ceremony for the newly upgraded playground at Charlevoix’s Rotary Park was held on Thursday, May 29th at Noon. Located at 330 West Carpenter Street adjacent to the City Airport and municipal ball fields, the playground has long been popular with area youth since the original equipment was installed in 1989. 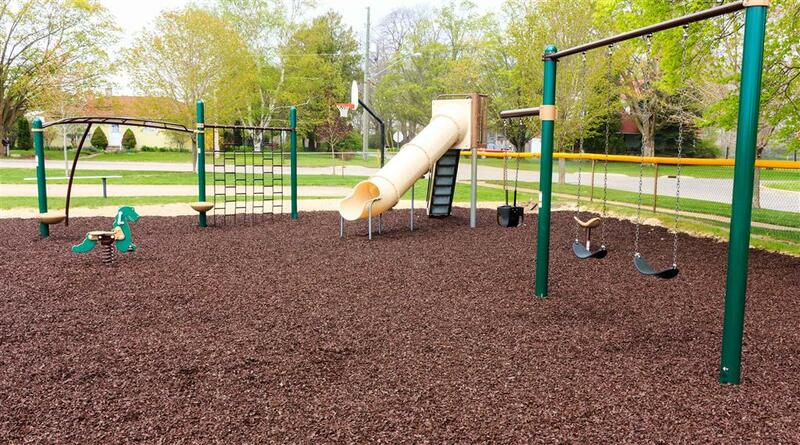 The park now features all new equipment with new playground surfacing that is ADA compliant, providing area families with a fun and safer area to recreate while promoting early childhood development with unique and innovative playground features. The project was accomplished through a partnership with the City of Charlevoix which removed the antiquated equipment, upgraded and prepared the site, and agreed to maintain the new equipment in future years. Funding for the $25,000 project was provided through generous grants from the Charlevoix County Community Foundation and Rotary District 6290 along with fundraisers organized by the Charlevoix Rotary Club. 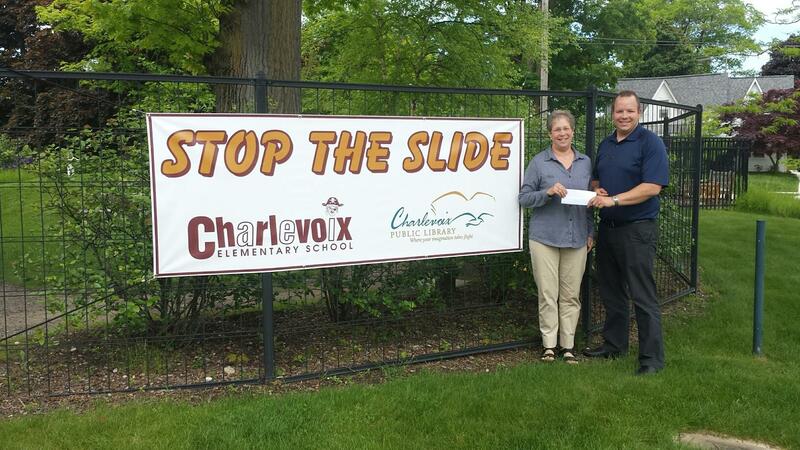 The Rotary Club of Charlevoix donated $500 to the Charlevoix Elementary School for their "Stop the Summer Slide" summer reading program. This program will ensure that every elementary child gets at least two books to read during the summer months. This program is based on research showing the decrease in literacy levels over the summer vacation. This spring the Rotary Club of Charlevoix updated the old wooden steps at the Charlevoix Rotary cabin at Camp Daggett. These wooden steps were starting to show their age and were a potential safety concern in the near future. A special thank your to Rosetta/MDC for donating the steps and to Swansons K & D for helping with a wonderful installation. Not only do the new steps look great they will insure safety far into the future. 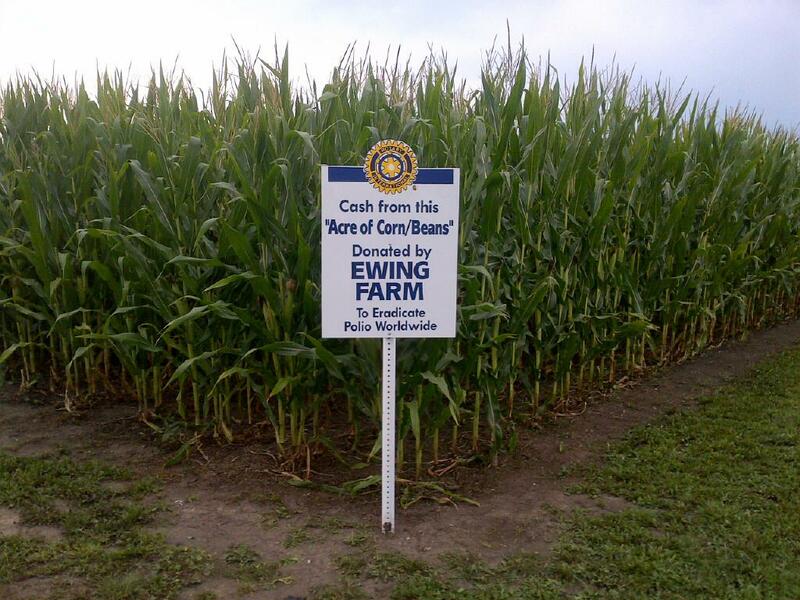 A very special Thank You goes out to Virginia and Jack Ewing for donating the profits from their Corn and Bean Crop to the Rotary Foundation. 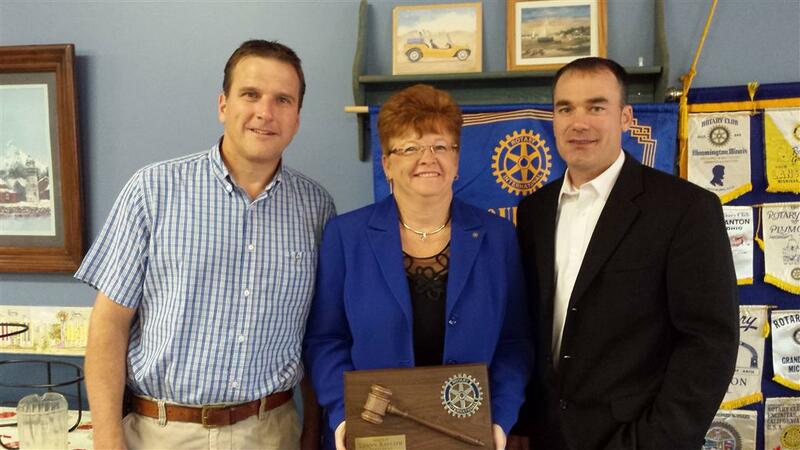 Thank you very much Past President Luann Keineth for the past year of service to the Rotary Club of Charlevoix. 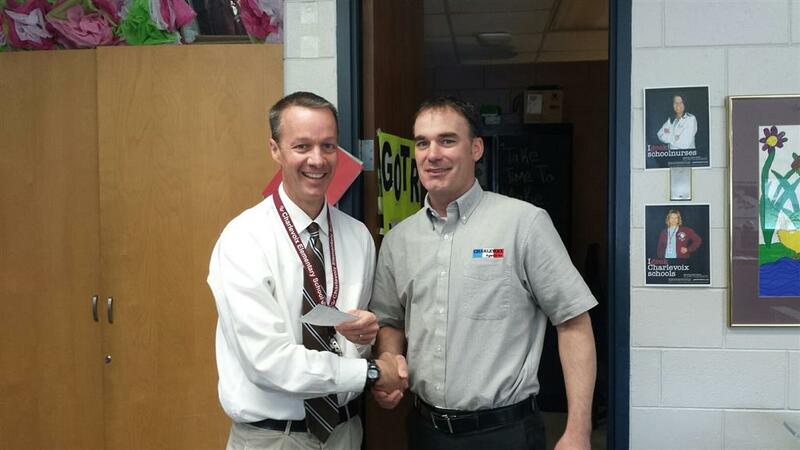 The Rotary Club of Charlevoix recently made a $1,368.00 donation to the Charlevoix High School Auditorium. This money was available for donations from a Charlevoix Community Foundation account that Charlevoix Rotary opened 10 years ago specifically for upkeep of the auditorium. 11 years ago Charlevoix Rotary raised over $100,000 to assist in the construction of the Auditorium with our highly successful Reach for the Stars Concert. Our donation will be used to upgrade that auditoriums computer system and a few small maintenance issues. 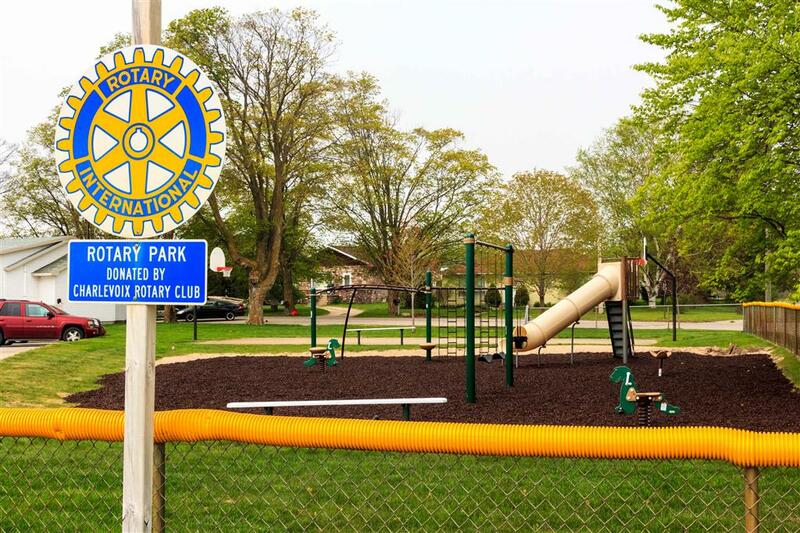 Leadership Charlevoix County approached the Rotary Club of Charlevoix for funds to complete their Wheels to Water Project at Whitings County Park on Lake Charlevoix. The Club board decided to donate $500 to this project and promised another $500 as a challenge to Leadership Charlevoix County. Our challenge was to have the Leadership team also secure a $1,000 donation from both the Rotary Club of East Jordan and the Rotary Club of Boyne City (The other two cites that surround Lake Charlevoix). We are happy to report and all three of our clubs were able to support this county wide project resulting in a combined donation of $3,000. Please read below to find out more about Leadership Charlevoix County and the Wheels to Water Project. Leadership Charlevoix County’s mission is to cultivate new emerging leaders from our area, to strengthen individual leadership abilities, and create an awareness of leadership opportunities in our communities. One way that participants in Leadership Charlevoix County strengthen their leadership skills is by partnering with a local agency to complete a community service project. The 2013 Leadership Charlevoix County team partnered with the Disability Network – Northern Michigan to bring universal beach access to Whiting County Park in Boyne City, Michigan so that all individuals can enjoy one of northern Michigan’s premier natural resources, the beautiful water and beaches. With the help of many community sponsors, the Leadership Charlevoix County class of 2013 raised funds to purchase a portable roll-out access pathway, Mobi-Mat RecPath, that can be used for pedestrians, disabled persons, wheelchair users, strollers, bicycles and emergency equipment. The class also raised funds to purchase a high quality, amphibious rolling beach chair, Mobi-Chair, providing seamless transition from boardwalk-to beach-to water. The Rotary Club of Charlevoix would like to thank all of our corporate sponsors, businesses and individuals who contributed to the success of our 4th Annual St Patricks Party. Thanks to the generosity of our sponsors, our contributing businesses, and the 323 individuals who attended the party we were able to have our most successful fundraiser to date. This year the Rotary Club of Charlevoix was able to raise a little over $20,000 to help with our philanthropic activities within our community. The Rotary Club of Charlevoix Canned Food Drive this past weekend was a great success!!! Because of the generous help from Charlevoix Residents we were able to donate over $300 and 1200 non-parishable items to the Charlevoix Community Food Pantry. Thank you to all the Rotarians that took time out of their Saturdays to volunteer at the Canned Food Drive.